A United Nations programme (UN-Habitat) that is working towards a better urban future with a mission to promote socially and environmentally sustainable human settlements development and the achievement of adequate shelter for all. Launched 1989, the UN-Habitat Scroll of Honour award is one of the most prestigious human settlements awards in the world. 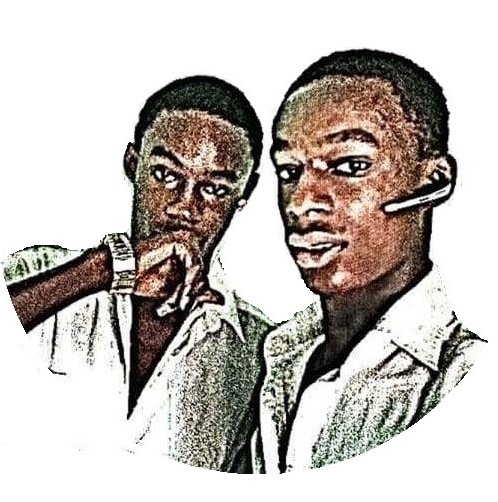 Its aim is to acknowledge initiatives which have made outstanding contributions in the field of human settlements, provision of housing, highlighting the plight of people living in poverty or who have been displaced, developing and improving human settlements and the quality of urban life to leave no one behind echoing the Sustainable Development Goals 2030 with emphasis on Goal 11: Sustainable Cities and Communities. ✓ Get one of the most prestigious human settlements award in the world. ✓ The award, a plaque engraved with the name of the winner, will be presented during the Global Observance of World Habitat Day on 1 October 2018. You can visit the official website for more details. ✓ Individuals, organizations, projects and any Habitat Agenda partner can be nominated for the UN-Habitat Scroll of Honour. Download the form, fill it in and email it to: unhabitat-whd@un.org. 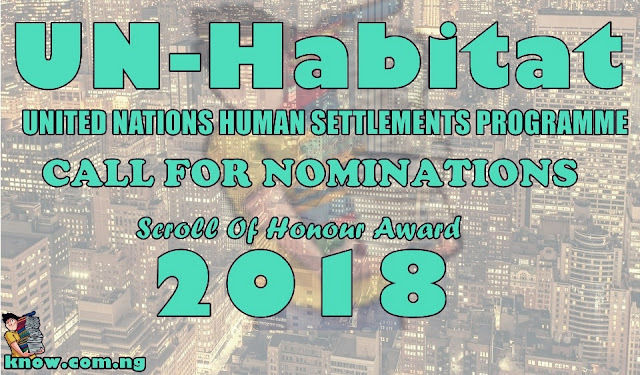 The deadline for submitting entries for the UN-Habitat Scroll of Honour Award for this year is 28 August 2018. Find out more, visit Unhabitat.org.